I’ve had a love for stationary ever since I can remember, from the days of buying nice letter paper for writing to pen-pals to finding great joy in an exceptional wedding invite. When someone hands me a business card, I instantly want to keep it if the text is raised or if the paper is textured. This very love for all things made from paper means I don’t want to have mediocre wedding stationary just because I’m on a budget. So how can I have invites my guests will proudly display in their homes without breaking my budget? For the answer to that question I have asked two industry professionals. 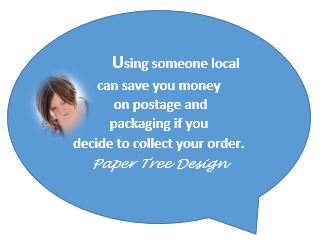 Suzanne is the mastermind behind ‘Paper Tree Design‘ with 15 years experience in retail buying and product development she created her business over 3 years ago. Rosie at ‘Little Vixen Designs‘ had 5 years of experience working with couples designing wedding stationary, before creating her ‘Little Vixen Designs’ business 4 years ago. This experience makes Rosie and Suzanne the perfect people to provide hints and tips on how you can still have professional invites within budget. No doubt you will have found a couple of companies you are thinking of ordering your wedding day stationary from, perhaps you’ve seen them at a wedding fayre, or you found them in some way online. If your initial chat with them about costs left you feeling they may be slightly out of your budget, don’t be put off. Arrange meetings with your preferred suppliers, or if this isn’t possible arrange a telephone call with them to let them know you love their designs but you have £x budget to work with. The stationers will then recommend what can be done within your set budget. If you feel happy doing some of the assembling yourself then you can definitely make savings. This may be as simple as gluing the ribbon and diamonte decorations onto the front of the invite, or could be as complicated as gluing multiple layers of laser cut designs together that create one 3D effect design. Irrelevant or whom you are thinking of ordering your invites from, or how good their work appears to be, make sure that you get physical samples of your chosen design on the chosen paper type before committing to a full order. Even though you may have seen physical examples of other work of theirs, the paper and printing type you’ve chosen may be different to what you’ve been before, which may mean disappointment with the final product. Companies such as basicinvite.com who offer a fully custom service with a vast range of beautiful designs, plus an instant online preview of the design as you customise it, can lure you into not ordering a physical sample, but it is still really important to do so you know you will be 100% happy with your order when it arrives. 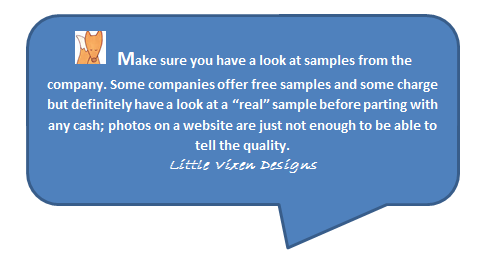 Even if you have to pay for a sample, it is better to do so than to be disappointed when your full order arrives. It is easy to forget this as we have to calculate costs per guests for food, drink, favors and other stationary types such as place cards. This is something that would never have occurred to me if it wasn’t for Suzanne. Consider hand delivering your invites rather than posting them. Live close to friends and family and see them regularly? Just hand them their invite next time you see them. Do your parents or siblings see other family member more regularly than you do? Perhaps ask them to pass invites on for you. A wedding website I have used before is ‘gettingmarried.co.uk‘ but there are a couple others including ‘theknot.com‘, both of which offer a range of templates you can customise with all of your wedding information. I hope that you find these amazing tips contributed by Suzanne and Rosie helpful. I’m looking forward to hearing your budget wedding stationary success stories, and would love you to share you story if one of these tips helped you to come in on budget.